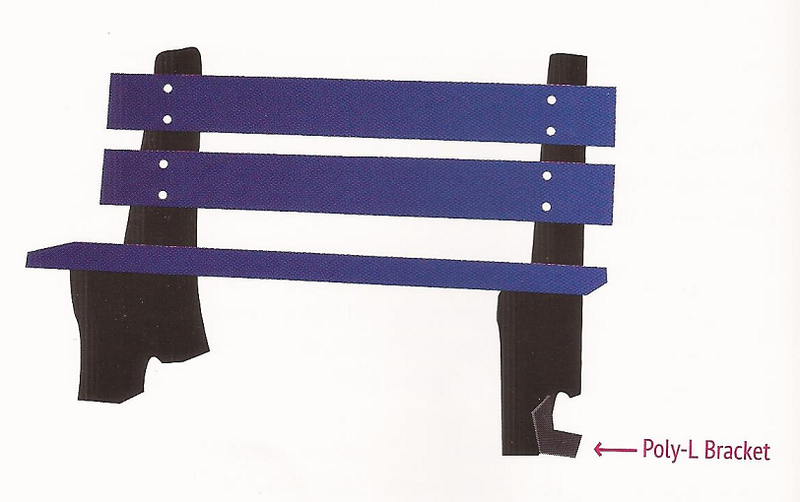 This recycled park bench without back has a simple design that will go great with any setting. 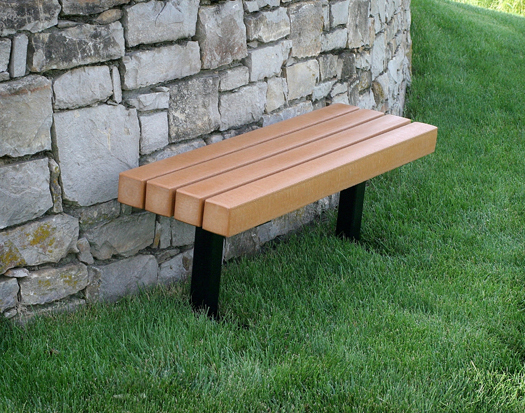 This contoured bench is made from four 4" X 4" Resinwood slats mounted to a powder-coated steel frame. The plastic slats are extremely durable and will last for years to come. This bench is portable but has holes for a surface mount.